sewyouquilt2: anyone ever make a diaper cake? Very cute. I don't go to baby showers. 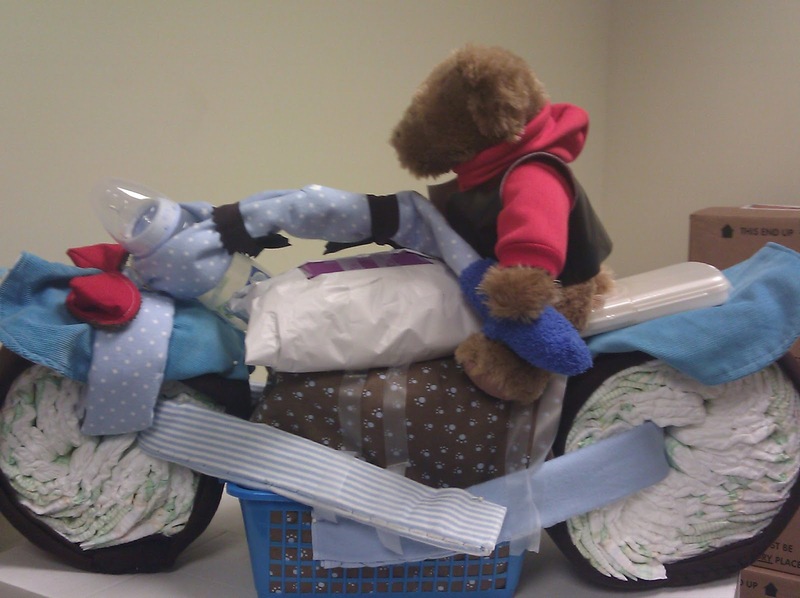 Those are some very cute and creative diaper cakes. The bear on a motorcycle is unique.